This entry was posted in Food and tagged macaron, Pierre Marcolini, signature on April 13, 2015 by R.B.T.T.. This entry was posted in Food and tagged cherry blossom flower, chocolate, La Durée, Macarons, Paris, salted caramel on April 10, 2015 by R.B.T.T..
During my stay in Montpellier (France) for studies, I had the chance to discover the Vietnamese cuisine and I enjoyed many of its platters and deserts. One of them is “Rouleaux de printemps”, a fresh cold version of the hot fried spring rolls and imo tastier. I enjoy having delicious meals rather than making them myself. Despite that and although I am not a great chef, I do enjoy trying recipes for fun and this week I decided to make the Rouleaux de printemps myself. I did a quick search over the internet and found various recipes with slightly different ingredients from one to another. The result was good for a first time but I am sure I can improve it with more trials. Here’s a picture how the rolls I prepared looked like. Rice papers (can be found easily in the Asiatic section at a supermarket). You just need to cover them with warm water until you feel they are not rigid anymore and you can start with the filling. Be careful when you hold the rice papers because they are very fragile. 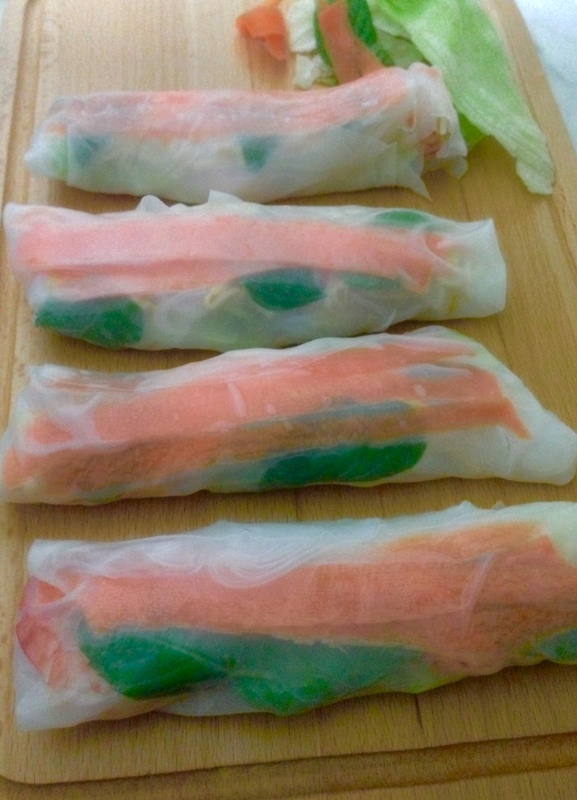 Pay attention not to put a big quantity of the filling as you will not be able to wrap the rice paper properly. When all papers are wrapped, you can put them in the fridge for few minutes. This entry was posted in Food and tagged bean, chicken, green salad veggies, lettuce, mint, rice papers, rice vermicelli, rouleaux de printemps, shrimps, soy, spring rolls, vietnamese cuisine on January 23, 2015 by R.B.T.T..
There’s a funny trend in Lebanon, whenever a diner/restaurant/snack/junk food place (whatever you call it) opens and becomes famous in a short period of time, the next thing you find is that there are almost 100 similar shops that opened like mushrooms everywhere, only to find shortly afterwards that they closed. 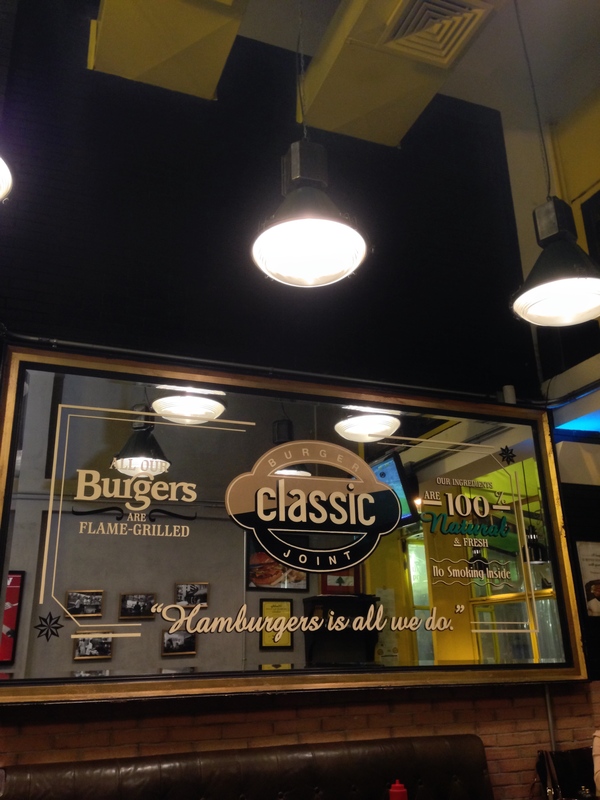 This is for sure not the case of Classic Burger which opened in the last couple of years and became the favorite burger place for many people (me included). 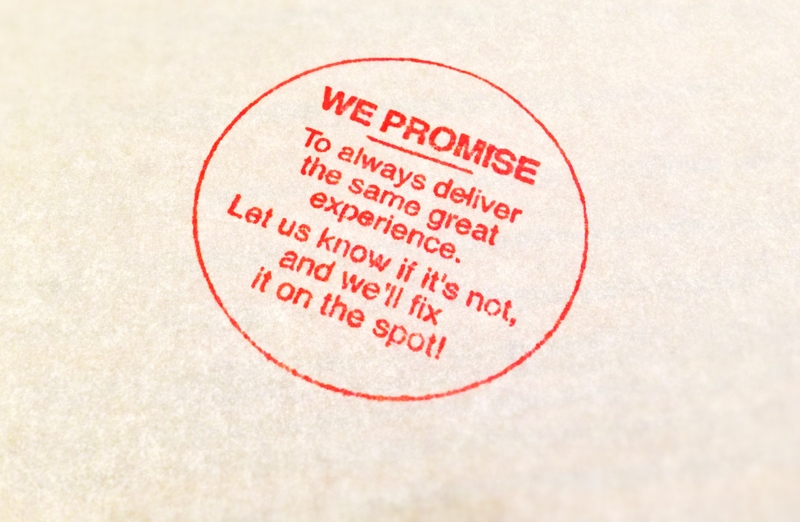 It got famous from the day it started and continues to be and they sure hold their promise, it’s always a great experience. 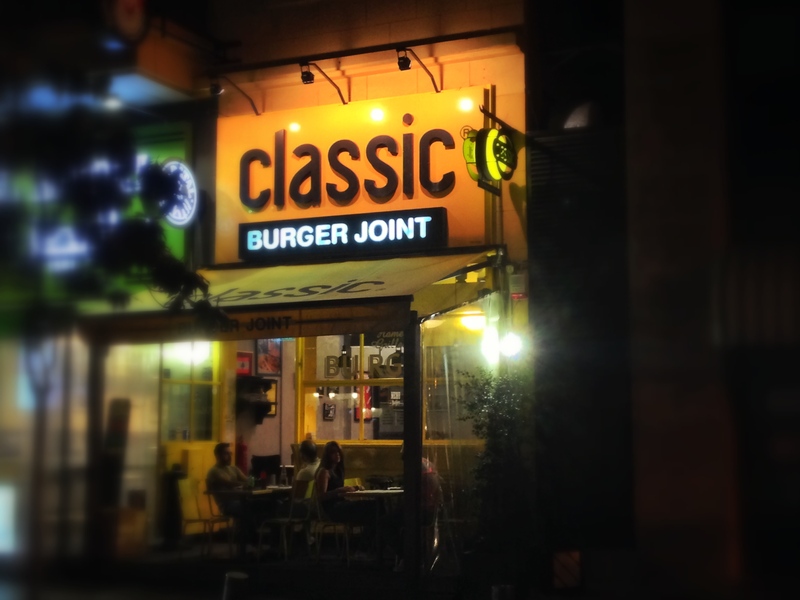 I’ve been to Classic Burger many times and not once have I been disappointed so far. 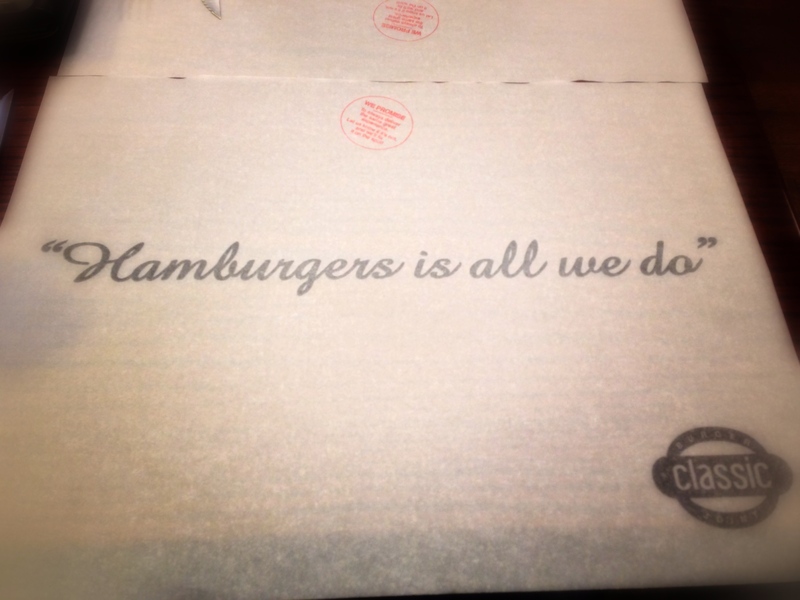 The burgers are so delicious, all of them, they even have a quinoa burger (for vegans or vegetarians), not to mention the tasty fries. Most importantly, their service is impeccable, the waiters are so attentive, the service is fast and lately I noticed that after filling a comment form on their tablet, you get the chance to win something in a slot game (never actually asked what are the prizes, but among them is a free meal for sure haha). I never won anything yet but just the idea is amusing and nice for customers. 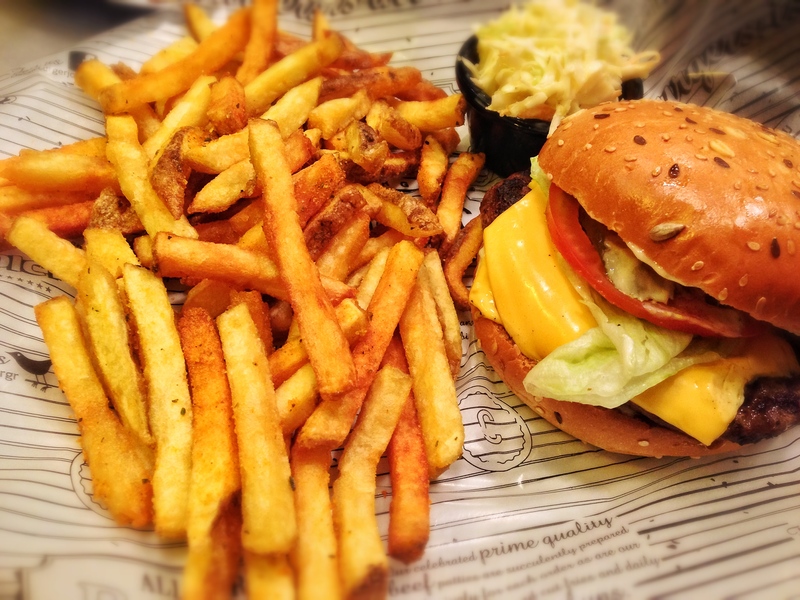 Below are some pictures I took lately at their Hamra Branch. 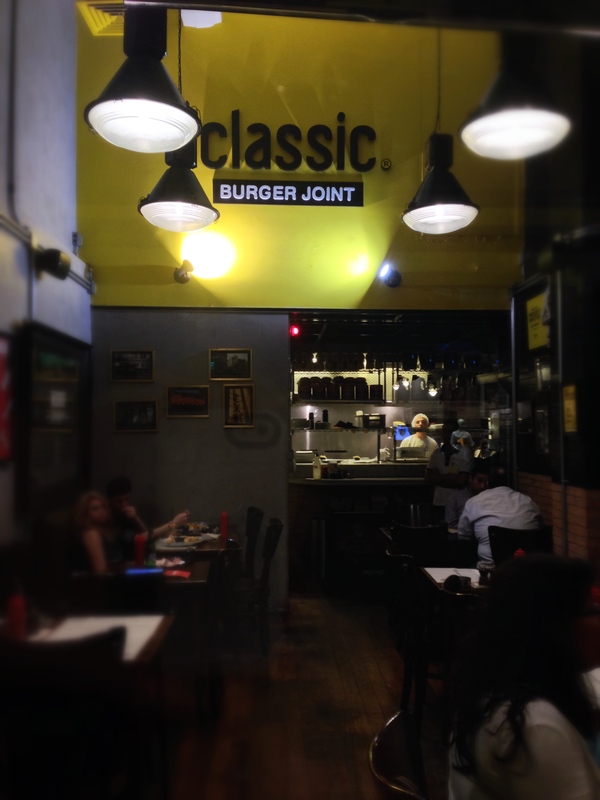 This entry was posted in Food and tagged Burger, Classic, Diner, Fries, Junk Food on May 12, 2014 by R.B.T.T..